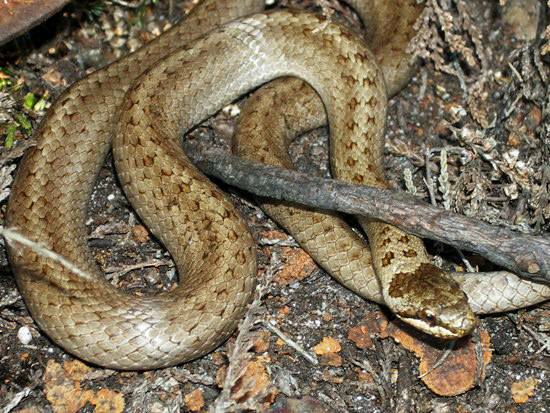 The rarest of the three snakes native to Britain, the Smooth Snake is now seldom seen in UK. In Britain this species is mainly restricted to a few lowland heath sites in the south of England. Loss of suitable heathland habitat is generally believed to be the main factor responsible for the decline in Smooth Snake numbers. 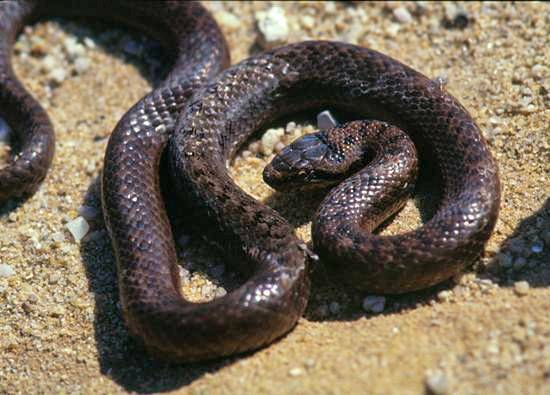 In common with our other reptiles, the Smooth Snake hybernates during the winter months. Like most of the reptiles native to Britain, Smooth Snakes are effectively viviparous with eggs hatching inside the body of the female, and they are reported to produce up to 15 young which at birth are about 15cm long and have distinctive black tops to their heads. Smooth Snakes eat lizards and small rodents, killing their prey by constriction. The Wildlife and Countryside Act provides very strict protection for this snake, which in Britain is considered to be threatened with extinction. If you come across a smooth snake you are not allowed to handle or even disturb it. 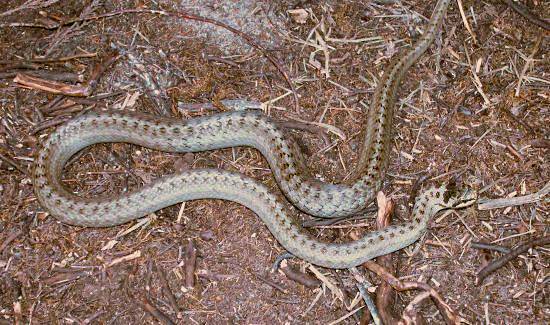 Smooth Snakes are sometimes killed by people in the mistaken belief that they are adders. These reptiles are neither venomous nor aggressive, and so killing any of them is quite unjustified; indeed to do so in the UK is a criminal offence under the Wildlife and Countryside Act of 1981.